If we look at any text that is sufficiently long, we can find things that add up. I’m sure if I spent more time, I could find some more funny coincidences. Not just word counting but looking at the n-th word and trying to attach meaning to it. Or counting the even and odd instances. The more time you spend, the more you will find. We can do this with any book with some sort of results. Some people also claim the Bible has such “miracles” too in it. The Quran is 6236 verses, which means there are far more possibilities for this to happen. So it should not be surprising if we find this occurring sometimes. When it comes to Arabic text, it’s more complicated. Because a word can appear in many forms. For example the arabic word for day yawm (يَوْم) can be written as alyawm (today) or ayyam (أَيَّامٍ ) days or in the dual form two days yawmayn (يَوْمَيْنِ). Regarding the miracle claim that day appears 365 times in the Quran, lets discuss this. First of all, there are 365.24 days in a year, but 365 is a useful approximation. In the Islamic Calendar, it doesn’t match at all, its closer to 354. Second of all, we will see how this 365 number is so inconsistently arrived at. The question is, when we look for these patterns, are we applying the same consistent rules throughout the text? Or do we pick and choose specific instances in order to “make the miracle work” ? There we go. Pick and choose the ones we like to make the miracle work. Seems like a lot of work to prove Allah right! Trust me, if I was an all knowing God, I am sure there is a better way I could have encoded the text with a checksum. I might even send two identical copies to two different parts of the world. But no such thing ever happened. Another problem with this claim is that we know that there are multiple readings of the Quran. In this hadith in Bukhari, Umar hears Hisham reading the Quran differently than he remembers and gets angry and drags him to Muhammad to verify. Muhammad then says that the way he was reading it is approved by Allah as well. In these recitations, different words are used sometimes, or different forms of the same word, and even sometimes the verse numbering and count is different. As well, we know that after Muhammad died, all the other copies of the Quran were burnt and only Uthman’s was saved and became the official “Quran” that we read today. We have to assume and trust that the companions didn’t mess this up. And there are also hadith in Bukhari stating that some verses were lost. Apart from the miraculous characteristics of the Qur’an which we have looked into so far, it also contains what we can term “mathematical miracles.” There are many examples of this fascinating Qur’anic aspect. One example of this is the number of repetitions of certain words in the Qur’an. Some related words are surprisingly repeated the same number of times. Below is a list of such words and the number of repetitions in the Qur’an. الْجَنَّتَيْنِ (Janatayn – dual form) occurs 8 times. جَنَّاتِ (Janaat – plural form) occurs 69 times. So in order to get 77, we have to add these two up. Seems a bit… arbitrary? If we wanted this to make the most sense, shouldn’t we look at the proper noun – janatin (جَنَّةٍ) ? Well no, because it only comes 51 times. So what we find here is that we have to yet again pick and choose in order to make this work. So in this case Allah is describing paradise, but since its using the singular, its not counted! There are 70 such examples where “janah” is not counted. In order to make this work, we have to again cherrypick the instances we allow, by only picking “gardens” (plural) and not the singular forms. “Sun” (shams) and “light” (nur) both appear 33 times in the Qur’an. The words “man” and “woman” are also employed equally: 23 times. (Also appears in other forms describing female believers, idolators etc. : Imraatun, Ajuzun, Dhati, Hamlin, Mushrikatan, Muminatan but these are not described as part of the “miracle” as it would be more than “rajul” then). So is Allah saying “a man is equal to a wife” here? Shouldn’t it “man and woman” or “husband and wife?”. Yet another example of cherrypicking to make this work. Shall I go on? There you have it. This is the fallacy called “Begging the Question“.. You already assume there is a miracle, and then you go and make the facts fit your narrative. This is not a fair or impartial. Now over here its close. But you see how arbitrary things are picked and then they try to make patterns out of it? It’s so silly. Devil: This one appears in many different forms with prepositions, sometimes referring to a single devil, or sometimes to “The devil” (Iblees). “Devils” appears 18 times, “devil” 70 singular. To make this work, we have to add up the sums of all the forms of shaytan and malaikah. While it is interesting that it adds up, it really does seem like a coincidence here, with no real meaning. Does Day really appear 365 times in the Quran? For a non-muslim who understand and fluently speak arabic, it’s easy to debunk this fabricated miracle. I dont know how you got the word MAN 29 times…….but you must have included MAN with all its derivatives like plural form…..remember arabic is not english and whilst in english man can be plural to include mankind in general or both male and female Shabir Ally specifically told you to only include the SINGULAR FORM of RAJUL …. its not his fault you dont know arabic grammar and how it works…..
6. As a bonus are you suprised you get death threats? ill just deal with the treason law (not just apostasy)…..we dont have an islamic country that implements the full islamic shariah including the political, economic, welfare, civil, criminal aspects of it….but some countries do have the criminal penal code….if you left islam and kept it to yourself then an islamic governement would not disturb you…but since you go out in public and deceive the youth with your incompetence in an islamic land you have 2 options….you could either repent and recant and be set free or you could leave that islamic land and spew your poison designed to mislead the youth elsewhere…. I do appreciate being told I’m wrong. But why are you insinuating that I deserve to be threatened or killed? Do you think the religion of truth needs violence to defend it? Does not the truth stand clear from falsehood? This is part of the disease of Islam and Muslims. Your religion can’t stand up on its own without violence. You have to bully people into silence. I looked through you list of random word matches……..do you genuinely think the list compares to mine? dont these results resonate with you??? did you know that chimpanzees and apes too i think have 24 pairs of chromosomes? scientists wondered why humans have 23 pairs of chromosomes and why not 24 too…. Now we know that the human chromosome 2 is the result of a telomere-to-telomere fusion of two chromosomes. This event did not occur in chimpanzees and apes, hence we have one less chromosome pair. Besides muslims dont believe in the Quran just bcos we can interpret scientific or mathematical beauties into the Quran…. the Quran to us is not a mathematics book or a science book…. these are just signs we use to reflect over the creation and God etc….. If you don’t speak Chinese don’t pretend to be Chinese, and even if, you can’t just be Chinese with your round eyes!! There is more than 12000000 millions word in arabic , english has just 600000 . In fact none of those two meanings is right?? This is weird , from a non arabe perspective! This virtuosity of choice give you a huge space to describe a phenomenon per example… And with the least of words. It’s a fascinating languages, oldest as history that you can’t just understand by knowing two word, or after reading some articles, even books!! Did you know what’s the Quran answer To them “i mean the disbelievers”? 17:88) Say: “If the mankind and the jinns were together to produce the like of this Quran, they could not produce the like thereof, even if they helped one another. Her god challenged mankind’s , and even devils, to join together and bring something like the Quran! Is this not a clear and worth challenge for you? Again ! : but this time it’s too much easier!? The smallest chapter in Quran, is 10 words!! I think it’s an easy task for you. Bring just 10 chapter like Quran, and you will destroy islam!? Or they may say, “He forged it,” Say, “Bring ye then ten suras forged, like unto it, and call (to your aid) whomsoever ye can, other than Allah!- If ye speak the truth! Btw, it has been 1400 year since God is waiting? No one should be threatened with physical violence for opinions if they are truly sincere understandings that do not threaten national security or can lead to others physical harm or death such as treason by giving away highly classified military secrets to an enemy the nation is at war with. I only went through the trouble to highlight that free speech is not without a few limits. Having said that you are clearly misguided with regards to mathematics in the Quran and this post of yours seems rather shallow. I hope you truly believe its true because thats far more respectable than if you are purposely being dishonest or misleading. The fact that you ended your last comment with an implied threat or acceptance of violence shows how weak your argument is and how violent your mind is. But nevertheless, here is your response. Now go ahead and cherrypick the ones you like to make it add up to 24. I dare you. just saw your comments…. Actually if you look in youtube someone else brought up the issue of violence in islamic countries to people who leave the faith…..i had intended to respond to him but never got around to…. im new to this blog so wondering if i can edit comments i make here? luckily for me you shared your list and honestly if you cant play fair then this is going to be a never ending game…. first looking at the 29 results you gave me i thought i was going to have to try explaining why some of them are plural in arabic …. i understand that when it comes with the word Imran you can translate it as wife of Imran….but again you have to be fair and understand just as a muslim would see the word imraat there and take it one way….you being a former muslim would take the translation and say it means wife…..
H, your last example for man (rajul) is 4:176, but this is plural isn’t it? It says rijalan wa nisaan (men and women). Also it’s been noted that some miracle claims like this one include suffixes and prefixes (like this one), while others exclude them. 365 days they are excluded, but in contrast 12 months includes bi and waw prefixes. It is really disheartening that Abdullah Salam decided to go this route of contrasting words which requires detailed knowledge in arabic grammar……..
you will note that (7:155:5) says men so it is translated as plural in english but if you actually click the translation corpus Quran will tell you it is not plural in arabic…. 3.if you look at the Abdullah Sameer list which i corrected for akhirah, u can clearly see i already excluded 17:7 29:20 38:7 28:70 53:25 and still came to 115…..so they are again wrong… If you go see the ones i excluded they have absolutely nothing to do with the comparison of dunya vs akhira….absolutely completely unrelated..
ʾĀkhirah (Arabic: الآخرة‎‎) is an Islamic term referring to the afterlife. It is repeatedly referenced in chapters of the Quran concerning the Last Judgment, an important part of Islamic eschatology. The Islamic hijri calender too has 12 months if I am not wrong..and the hijri calender was used during the time of the prophet!! So it’s not a miracle at all!! The sea land ratio is wrong too.. Since you gave your links to dunya and akhira i decided it wouldnt take that long to recheck…..
Now, I don’t know about you. But I would be pretty angry. How did they miscount this so badly? Do they just assume people are too stupid to actually check this? instead i chose this route hoping you would atleast reflect more…. The Glorious Quran has 114 Chapters. The sum of those Chapters is 6555 (1+2+…+114 = 6555). There are also 6236 Noble Verses in the Glorious Quran. Now, IF YOU ADD EACH CHAPTER # with the number of its Verses, then you get a list of numbers. So 1 (first Chapter) + 7 (# of its Verses) = 8. Do this for all Chapters. But offcourse there is ‘pure probability’, there is ‘statistical probability’ and also ‘subjective probability’.. If we think of ‘subjective probability’ for the moment..that has alot to do with the nature of the subject that you are studying.. One says based on what i know of this subject, there is a very remote chance that it should come out like this and if it comes out like this then this is remarkable. So we are dealing with that situation here, knowing the history of the Quran, how it came to be written down, how the verse numbers eventually came to be put in, it is remarkable that the verse numbers generate this kind of result”. You aren’t refuting anything, you are just arbitrarily picking and choosing which forms of the words to use in order to make your point without being consistent in those rules whatsoever. Sometimes you use all forms of the word (including plural and dual) sometimes you use only singular nouns, sometimes you include the definite form. This can be described as “sharpshooter fallacy”. (2:118) Those who do not know say, “Why does Allah not speak to us or there come to us a sign?” Thus spoke those before them like their words. Their hearts resemble each other. We have shown clearly the signs to a people who are certain [in faith]. angels (plural) with satan (singular) and that theres an issue with that…..
if you are familiar with the Quran very rarely does God deal with individual angels and having the ingredient of faith makes one overlook that…..but i honestly think its nitpicking…..
if you want take only the 88 times where all derivatives of both angels and satans are used…. Thanks for this wonderful post Abdullah Sameer. And do not be put off with idiots like H, They just cannot bear people, especially ex Muslims, exposing Islam for what it really is. You are right, they resort to lame threats because they have a problem with ANYONE criticising Islam. Islam is flawed. Hugely. And we really need people like you to educate the world about this. Thank you again, and keep up the excellent work. There is no reason to insult H, reforming Islam. Yes, the Sun is mentioned 33 times while light is mentioned 43 times. But the word Sun is mentioned in the Quran only in their very simplest from too. And this is not so for the word Light at all ! Anyone who know basic arabic can clearly see this ! Only by counting the word light in their simplest form will we count exactly 33 word light, just like there are exactly 33 simple from of the word Sun in the Quran too ! So Mr Abdullah Sameer, are you sure you know anything about Arabic alphabet at all ? Nice to see that you are thinking deeply about the Quran though to refute it’s miracle claimed by certain persons. But to my understanding nothing wrong with disagreeing with someone if that doesn’t satisfy your rational. I don’t think that makes a person falls out of the fold of Islam. From your comment, I found you a rational person which should be enough to turn you to the truth..
You pointed few points which could be right or wrong (a proper Arabic study would be required) but I agree with you that sometimes people stretch too much to fall certain facts into a miracle. Though there are also numerous other facts inside Quran which are far more convincing if considered scientifically but I am restraining myself from quoting those as I strongly believe you already gone through those. However, the point I wanted to make is, Quran never came to prove certain miracles so that people can quote those or invite people to Islam due to these miracles rather the primary purpose of Quran was/is and will be to guide people towards the truth. When people allows their life to be guided by this book, certain treasures might come on the way to ascertain his/her faith if he/she really thinks deeply as Quran suggest. So, thinking is necessary component for every human being as per Quran (you can easily verify those verses where we are told to think or ponder). Don’t you think this itself a major exception to other religious books ? Anyway, I am leaving you to your thoughts..
Last but not the least, my apology on behalf of my fellow Muslim brothers who might have offended you. I really think you should not judge Islam by Muslims nor judge Quran by Miracles claimed by humans. As there is no option to edit my comment so I am here again to re-phrase some of my wording which I think could be misunderstood easily for brevity and my in-competencies. “I really think you should not judge Islam by Muslims nor judge Quran by Miracles claimed by humans.” – I wrote in my first comment. Well, I meant by this statement that if you want to really make a impartial statement about Islam or Quran, you should ponder over the Quran itself and judge yourself if it’s speaking the truth or not rather following the followers who might following it wrongly. Focusing on the miracles of Quran or refute those, one might completely miss the point that the purpose of this book was to guide human kind..
Hopefully I haven’t given birth to any debate. That is not my intention.. If somehow my words offended anyone, I humbly apologize for that. Yet, u came up with a crazy long explanation as a counter argument, which shows that deep inside, eventho ure in denial, u did bother. Dont u see abdullah, ure the one here doing the cherrypicking, with the limited knowledge of arabic language n Islam on the whole, n ur distorted view about Islam, which was guided by ur hatred, ure quoting out of unreputable sources, translating quranic words n verses w the help of just translating softwares and internet sites. Whatever u accused muslims of, uve been doing it urself. N i bring this cherrypicking as a case so that u can reflect on ur accusation. U didnt hate us abdullah, u hate a part of u that u think exists in us. From where im sitting at, i see u as no more than trying to measure the length of a ruler with a thread, the reason why im not here to argue linguistic with u, since im a malay n i admit that this is not the field im excellent at, and im not going into ur footstep to make a fool out of urself talking about things u dont know about, as if u were the master of the subject, for we already have brother H and a group of other concerned people to tell u, that ruler itself is a measurement tool, not something to be measured by. May Allah give them barakah for their efforts. Aameen. Brother. First of all, the holy book of quran nvr claimed divinity for its numerical miracles. That only came up when scholars started to make in depth research about the quran. This is the book who called for believers n reminded the disbelievers to come back to The Creator. For what the disbelievers will face in the hereafter, will make them wish that how good it is if they were just soil (for soil is the element that we’re created from, n just soil is free from judgement and the torture of hellfire). The biggest torture in the hereafter, is regret. Remember that brother. Come back to Islam before life reaches ur throat, for when that moment comes, theres no value for ur taubah. Allah wont come to us, we will come back to Him. Allah doesnt need us, we need Him. Allah wont be affected by our sins, we affect ourselves w our sins. N that is how Islam is not affected by ur words, not at the very least. Nobody needs to threaten u. Death will come to all of us, me and you included, threatened or not threatened. As a muslim, this is my obligation to remind u to come back to the right path where u came from. Muslims, we hold strong to the promise of Allah. He will hold this religion high above any other religions. Islam will prevail in the end. Its just normal for the religion of truth to be the subject of slanders from disbelievers. Its not something new. But Allah wont let this religion cease to exist, it just wont happen abdullahsameer, no matter how much u and anybody else of ur school of thought want it to happen, no matter how big ur hatred is towards Islam. U didnt hate us abdullah, u hate a part of u that u think exists in us. Firstly, I don’t think you’re a Muslim person now or previously. I just want to point out the weak reasoning and comparison used in Sham’s article. argument’ is posited by Sameer without elaborating on the extensive mathematical evidence discovered thus far. Sameer merely concluded that the whole thing is ‘lame’ without discussing on the myriad of evidence put forward by scholars and technicians of the Muslim stripe. 3 The little examples given from Romeo and Juliet, which happens to be my favorite Shakespearean play, is, not only skimpy but also misleading. Eg. Is ‘pray’ and ‘slain’ mentioned 17 times each? Or altogether these words appear 17 times? And how do these concepts contrast? World and Earth, ok but Peace and Married?, Faith and Blood? , Grave and Rest?, Pray and Slain? Marriage and Gentleman? Alas Sameer concedes of sorts like this – “We can do this with any book with some sort of results.” Emphasis ‘some sort of results’! Would you imagine human life without Quran? 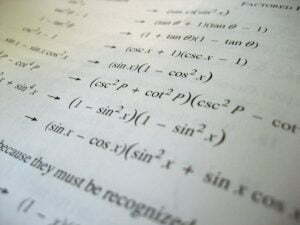 Would you imagine human life without Mathematics? Would you imagine Quran without Arabic language? Would you imagine Mathematics without number? The best that quran could do is to resort to some schoolboy math. You can find these patterns in any book, including books written by children! Haha! If quran is supposedly a “mathematical miracle”, at least it should offer some solutions to the myriads of mathematical paradoxes out there. (Yes, I am a mathematician, and no quran is no “mathematical miracle”) I think if quran showed even a hint of Poincare, I’d convert on the spot! Hahaha! Instead it’s just some grade school/primary school math, with some dubious massaging of the meaning and spelling. Mind boggling that muslims believe that the ratio of sea and land is up to 10 decimal points! LOL! We know now that sea, water, land and air are all dynamic in that they change according to the weather, polar ice caps, sun intensity etc. You can’t even put a single decimal value to it! Quran actually thinks otherwise! Hahahaha! Although the bible contains numerical signs, no (reasonable) christian will claim that this is a proof that the bible is the word of God. Christians don’t need that. These words basically mean the same thing and are not really relevant to the story. The rest of the words have little to no relation to themselves or the storybook itself and that’s the point. Relevant to the whole scripture. Obedience vs Disobedience? Wow! Romeo and Juliet also seams of divine origin. Make sure you put ex-Muslim Abdullah Sameer next time for us to know who you are anyways u did not debunk anything and if people wanted to believe that it is a miracle then it’s up to them and who ever said we need math to prove the Quran we have many miracles in the Quran already and you know what I personally think that you don’t even need a revelation to believe in god the revelation and messengers is just a confirmation of god that’s all and a guidance and you know who you and people like you are nothing other than the many verses in the Quran that Allah Swt speaks about that are munafiqun (hypocrites).